July: the Urbans’ divorce is decreed; Smit lives with Berendina. 1. PS, ALS to Theodore and Marijke Pitcairn, Thoury-Ferrottes [12 February 1929]. 2. PS, ALS to Theodore and Marijke Pitcairn, Thoury-Ferrottes [18 March 1929]. 3. Massé 1920-1935, p. [9 et 10]; see [PS 323] et [PS 435]. 4. 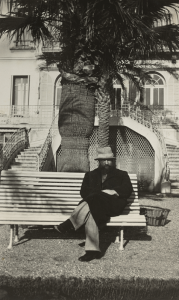 Massé 1920-1935, p. .
1. 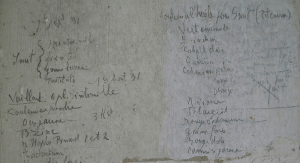 Massé 1920-1935, 22 June 1930, p. , sentences are not in order. Eté: stays in Brittany (see [PS 388]). Early December: returns from two-week stay in Holland. 1. 9 April – 17 May 1931. 2. 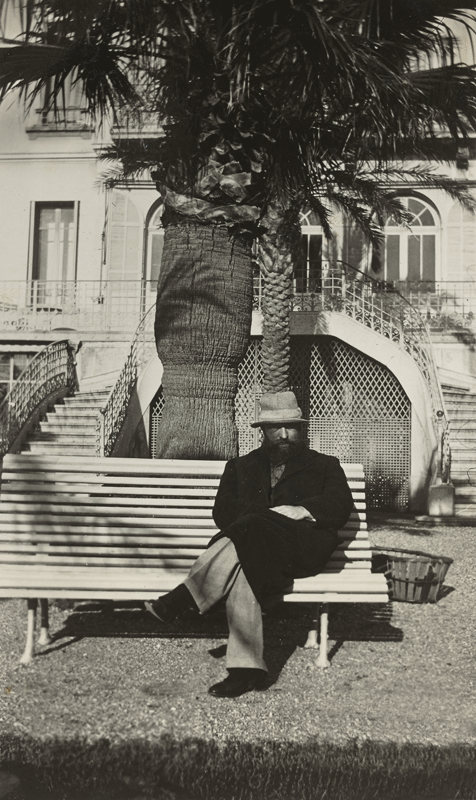 PS, ALS to Henri Roché, 28 August 1931, La Maison du Pastel archives; see also Massé 1920-1935, 13 December 1931, p. . 3. Massé 1920-1935, 13 December 1931, p. .
30 January: writes to the Massés that he is in Saint-Raphaël in the Var for a few months with Berendina, Lotty and his father.1 (fig. 3 & 4) His stay on the Var coast is prolific. 1. See Philippe Smit 1932. April-May: travels to the United States. 24 August: returns to Thoury-Ferrottes. 1. Philippe Smit 1933. 2. Niehaus 1933a. 3. 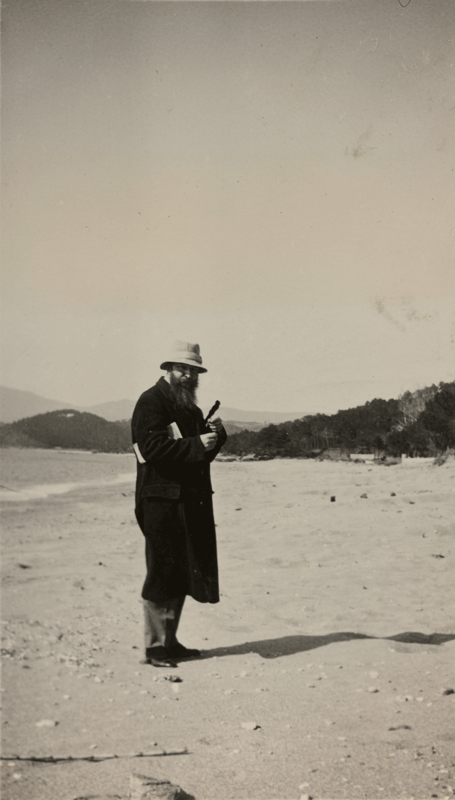 PS, ALS to the Massés, Saint-Tropez, 2 February 1933, Massé album, p. . 4. Massé 1933, p. . 5. Massé 1920-1935, 8 avril 1933, p. . 6. 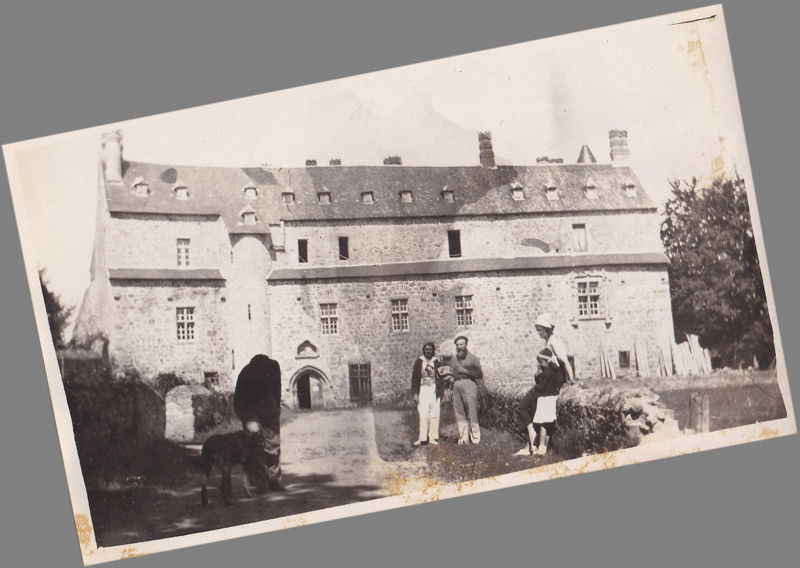 PS, ALS to Henri Roché, Ploubazlanec, 29 July 1931, La Maison du Pastel archives. 7. PS, ALS to Massé, n.d. [Ploubazlanec, 4 August 1933], Massé album, p. . 8. PS, ALS to Massé, The Hague, 19 September 1933, Massé album, p. . 9. PS, ACS to the Massés, [Thoury-Ferrottes, 20 October 1933], Massé album, p. . 10. 1933 Goudstikker. 10 March: Smit offers Massé to “pay each trimester [his] rent” and tells him that he is “currently doing a large painting1 in which he in search of all the difficulties of contemporary painting.“2 (voir [P116; LNC191]). He paints the Port entrance at Hoorn [PS 425] the Farm at Beemster [PS 426] and Zuiderzee at Volendam [PS 428]. Autumn – winter: is in Thoury-Ferrottes. 1. See [PS 421]. 2. Philippe Smit, ALS to René Massé, n.d. [Thoury-Ferrottes, 10 March 1934], Massé album, p.. 3. PS, ALS to Theodore and Marijke Pitcairn, n.d. [13 March 1934]. 4. PS, ALS to Henri Roché, Thoury-Ferrottes, 19 April 1934, La Maison du Pastel archives. 5. PS, ALS to Massé, n.d. [3 August 1934], Massé album, p. . 6. Massé 1920-1935, 9 November 1934, p. . 7. Ibid. 8. Paris, Les Fauves: l’Atelier de Gustave Moreau, November – December 1934. Spends the whole year in Thoury-Ferrottes with round trips to Paris. 1. Massé 1920-1935, 29 May 1935, p. . 2. 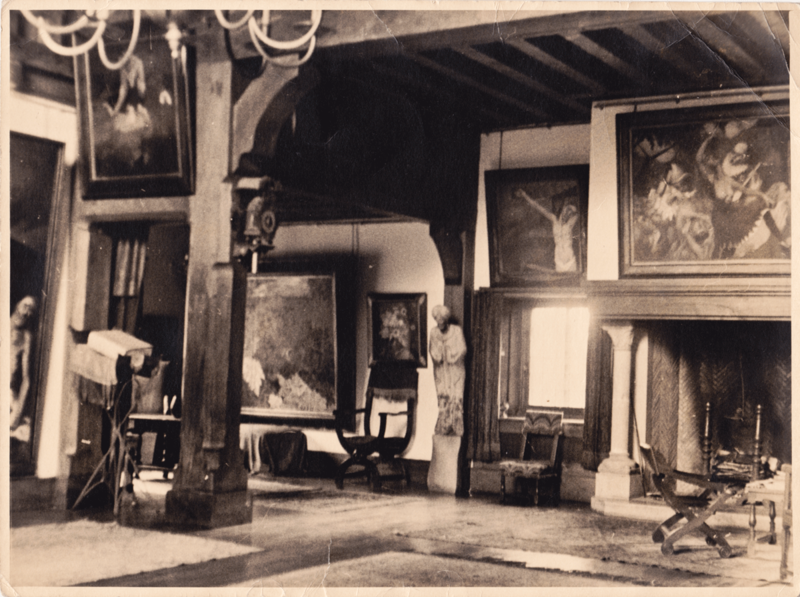 Petit Palais, Paris, L’Art Italien de Cimabue à Tiepolo, May – July 1935. 3. PS, ALS to the Massés, [Thoury-Ferrottes, 6 September 1935], Massé album, p. . 4. LNC archives. 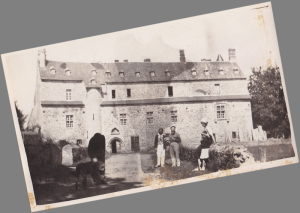 Goes on a trip with Berendina and Lotty along the Loire to the Atlantic. 1. Berendina Hubscher-Urban, ALS to Theodore Pitcairn, The Hague, 21 September 1936. 1. PS, CAS to the Massés, n.d. [11 October 1938], album p. . FIG. 1 Studio at Thoury-Ferrottes. FIG. 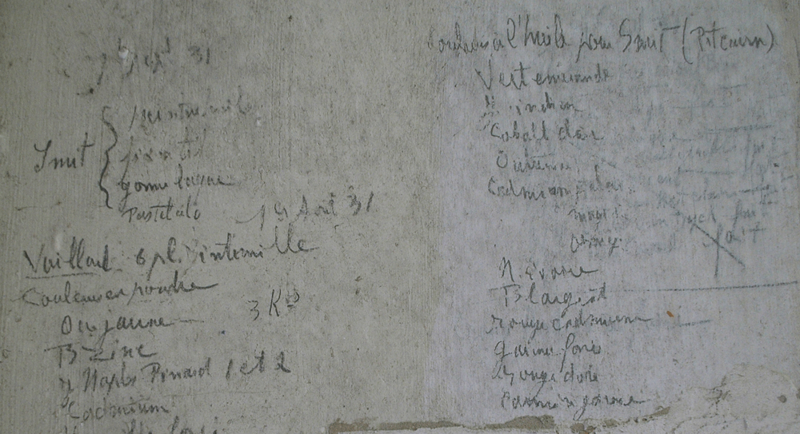 2 Philippe Smit’s order written down on the wall of Henri Roché’s studio, courtesy of La Maison du Pastel. FIG. 3 Philippe Smit, 1932. FIG. 4 Philippe Smit, 1932. FIG. 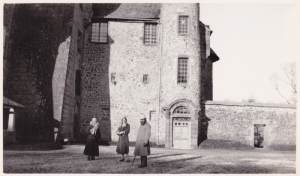 5 Philippe Smit, Berendina and a friend in front of Chateau de Cordés, Orcival, March 1933. FIG. 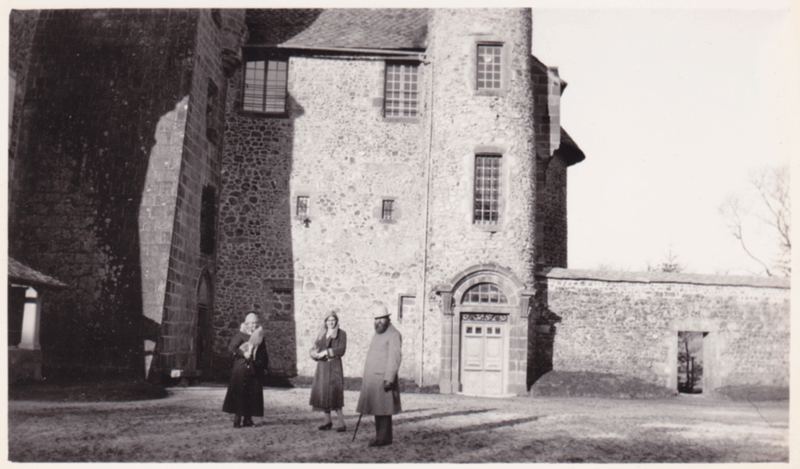 6 Philippe Smit with friends in front of Castle la Roche Jagu, summer 1933.